Pioneers in the industry, we offer round bar polishing machine from India. 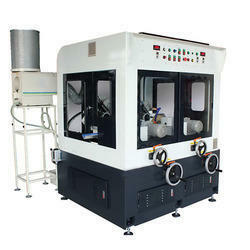 Being one of the renowned manufacturers and exporters, we are involved in offering Round Bar Polishing Machine. Manufactured in compliance with the existing industrial guidelines, the proposed collection offers highly advanced construction and high durability. These easy to operate are highly demanded in the market for their low maintenance.